As much as we try to avoid it. Take our seasons for example, change is inevitable. We may not approve of some changes, but the strength of a person comes when you are able to adapt to change. I had to learn this in my 20s. Whenever I had to relocate for a job or school I had to adapt to my new surroundings. Even though our country is currently in a state of shock over the recent Presidential election results, we have to remember that we are responsible for our own future. This could be a lesson for all of us, and we must make changes in our own lives to deal with the outcome. 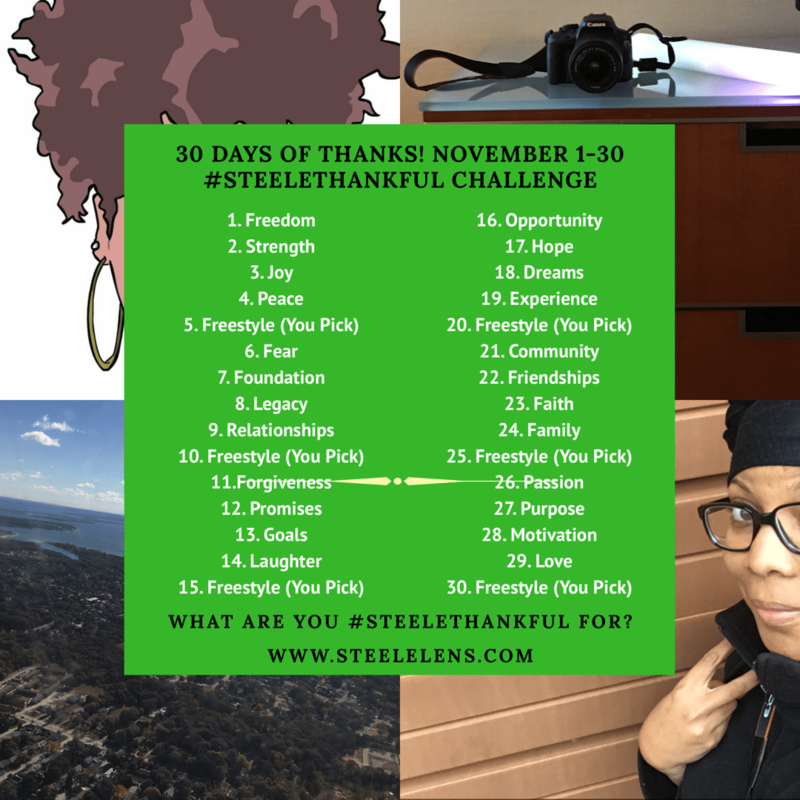 I’m #SteeleThankful for change, and the ability to turn any bad situation into something great.